# Price exclude VAT. Additional deposit required for transport and/or other expenses. All Large Format Printer data and figures are pulled from Supplier -- Advanced Machinery (Pty) Ltd data feeds. Data that is provided by Advanced Machinery (Pty) Ltd and Bizmatic (Pty) Ltd is provided "as is". Neither the Advanced Machinery (Pty) Ltd, Bizmatic (Pty) Ltd or any third party shall be liable to you or any third party for any loss or damage, direct, indirect or consequential arising from (a) any inaccuracy or incompleteness in, or delays, interruptions, errors or omissions in the delivery of the data or any other information supplied to you through our Services; (b) any decision made or action taken by you or any third party in reliance upon the data. Nor shall Bizmatic (Pty) Ltd, Advanced Machinery (Pty) Ltd or any third party be liable for loss of business revenues, lost profits or any punitive, indirect, consequential, special or similar damages whatsoever, whether in contract, tort or otherwise, even if advised of the possibility of such damages incurred by you or any third party. The Large Format Printer information on this website is distributed by Bizmatic (Pty) Ltd as an information source only. Users should not act on this information without seeking professional advice. This information is not fiancial advice. This website is developed by Bizmatic (Pty) Ltd. 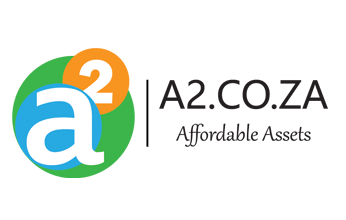 The domain name A2.CO.ZA, the "a to the power 2" device, and the "Affordable Assets" slogan are the property of Bates Trust IT003077/2015(G), and its exclusive use is licensed to Bizmatic (Pty) Ltd. All other materials contained on this website and all associated websites, including text, graphics, icons, still and moving images, sound recordings, musical compositions, audio-visual works and software, are the property of Bizmatic (Pty) Ltd or its content suppliers or service providers and are protected by South African and international copyright laws. All trademarks, service marks, trade names, trade dress, product names and logos appearing on the site are the property of their respective owners.